Generally distributed throughout British Columbia; it also occurs north to the Yukon, east to Newfoundland and Labrador, and south to California and Colorado. Eupithecia annulata is a common innocuous solitary defoliator. 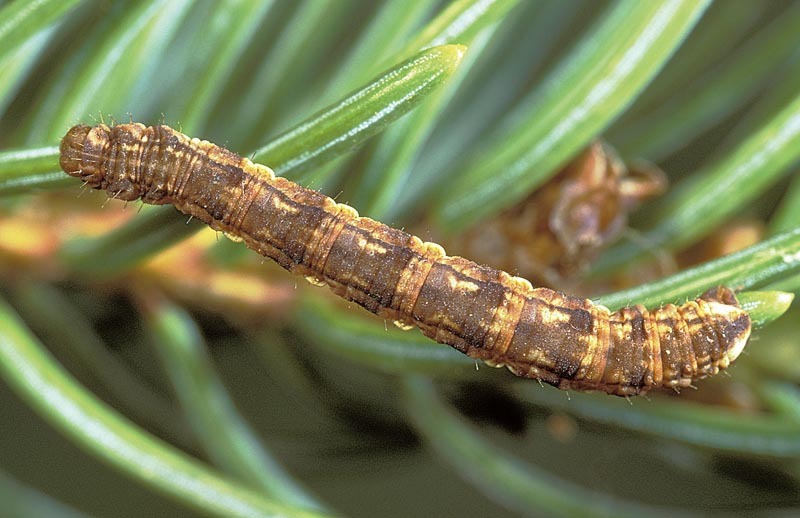 Mature larva up to 22 mm long. This species has two distinct morphs. The more common morph has both a green variant (more common) and a brown variant. The green variant has a green head and body with a middorsal dark green pinstripe and irregular yellow lateral stripe. The brown variant is similarly marked. 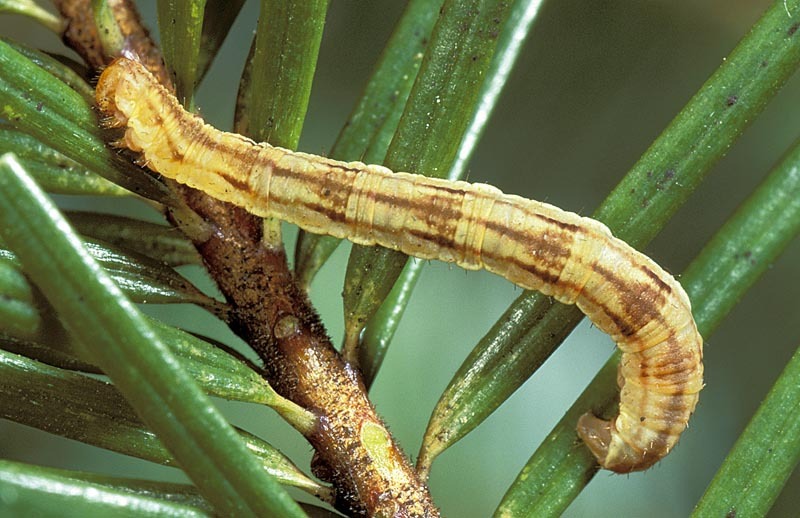 The less common morph has a greenish brown, reddish brown or yellowish brown head and body; the dorsum is marked with a prominent dark arrowhead pattern, dark triangular subdorsal markings and irregular yellow lateral stripe. This species overwinters in the pupal stage. 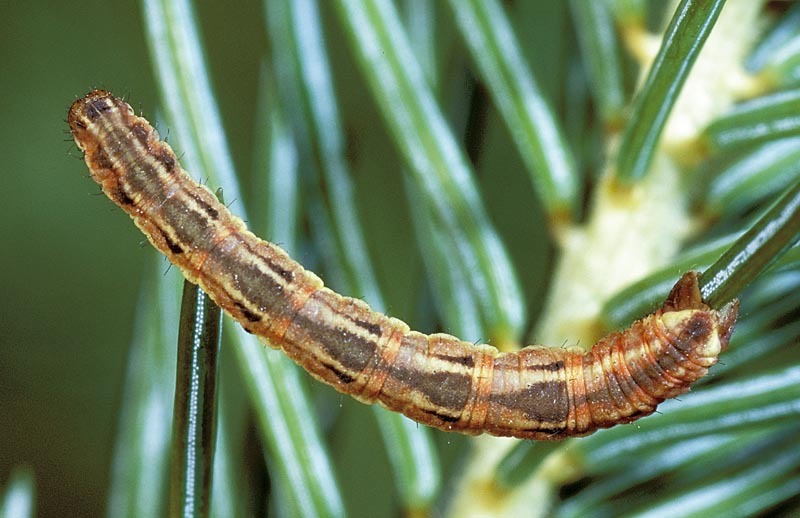 Adults emerge from April to June; larvae are present from May to August and pupation occurs from July to August. 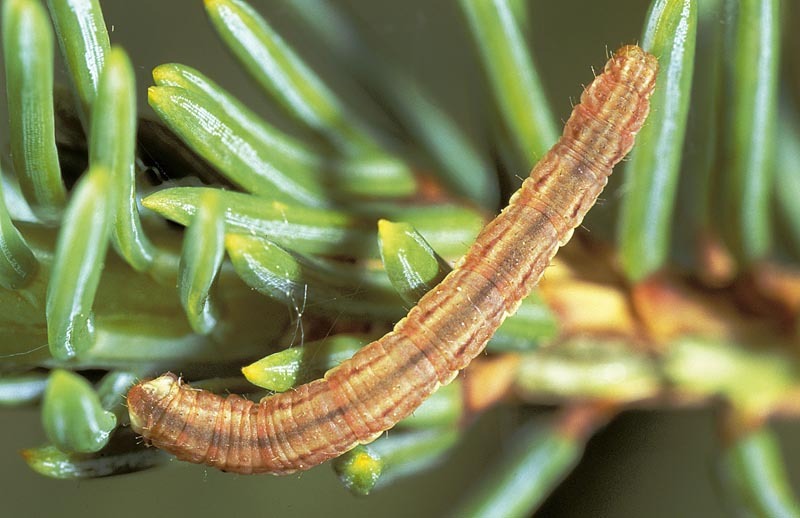 The principal hosts of Eupithecia annulata are Douglas-fir and western hemlock; other hosts include grand fir, amabilis fir, subalpine fir, Engelmann spruce, white spruce, Sitka spruce, western redcedar and mountain hemlock.